The kids and I spent a wonderful Saturday afternoon last week. We attended the first birthday celebration of my godchild Sati, the cute and bubbly daughter of my beloved friend Pehpot. 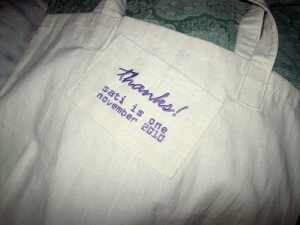 Each guest got this cute cloth bag from the host. 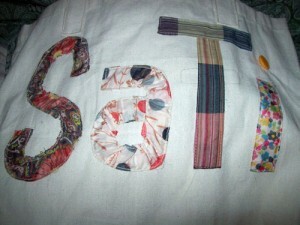 This entry was posted in Ruby Tuesday and tagged cloth bag, giveaway bag, Sati's birthday on November 9, 2010 by Yami. An interesting picture of cloud I took last summer. The heart-shaped cloud floats in the humid summer air. 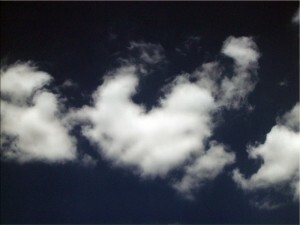 This entry was posted in Photography and tagged cloud, Everyday life, heart-shape cloud on November 9, 2010 by Yami.